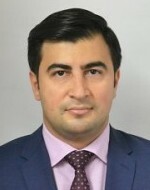 Fuad Asadov is the General Director at ThoroughTec Simulation LLC., a subsidiary of ThoroughTec international group of companies. In 2004 he completed his Master’s Degree in Robots and Robotic Systems at Moscow State University of Railway Engineering. He started his mining career in 2005 as a Lead Engineer designing powered roof supports for longwall coal mining at a Russian private company. He has worked for leading international companies, such as General Electric, Sandvik and SSAB. From August 2014 he is in charge of marketing strategy, sales and business development at ThoroughTec Simulation in Russia and CIS.